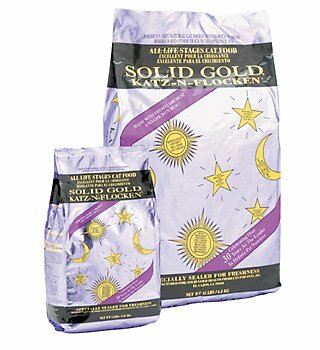 Solid Gold Seameal provides support for skin and coat, digestive and immune system health in dogs and cats. Utilizing seaweed, earth?s original Superfood, Solid Gold SeaMeal combines red, green and brown seaweed species to deliver transformational health benefits for dogs and cats. Sourced from the coast of the United States, this carefully selected blend of seaweeds provides an excellent source of iodine and chlorophyll to provide important essential vitamins, minerals, amino acids and antioxidants for skin and coat and thyroid health. Since coat and skin issues and digestive issues often go hand-in hand, digestive enzymes are added to support digestive health. Rich in Omega-3 Fatty Acids, flaxseed meal is included to provide additional support for skin and coat health.Made in the USA. Grain-free and gluten-free. No artificial colors, flavors or preservatives Provides a natural support for three common pet health issues: skin and coat, digestive and immune system health. Ideal for all dogs and cats Superfoods, including seaweed and flaxseed provide vitamins and Omega Fatty Acids to help maintain a healthy skin and coat. Seaweed also is a great natural source of healthy iodine. Natural digestive enzymes help pets utilize more of the nutrients in their food and support healthy digestion. Natural source of B vitamins, zinc, selenium, iron and magnesium to support immune system function. Easy to use! Add powder to pet?s meal twice daily. 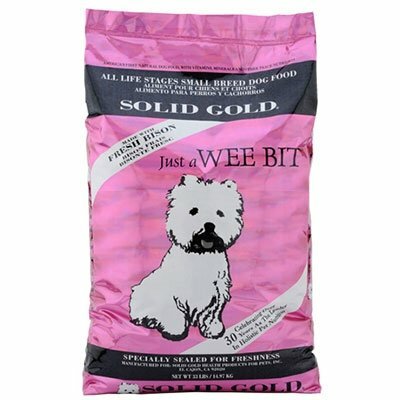 5 oz container provides 1-month supply for 25 lb-50 lb dog. See packaging for feeding guidelines; recommended to be used for at least 30 days to see initial results. A historical overview of the greatest female gymnasts in Olympic history. Includes chapters on Agnes Keleti (the oldest gymnastics gold medal winner), Olga Korbut, Nadia Comaneci, Mary Lou Retton, and Kerri Strug. A brief final chapter focuses on future "perfect tens" participating in the summer 2000 Olympic games. The discovery of gold on Drake land significantly increases middle son Warren's already overflowing coffers. His ranch is the talk of exclusive Paradise Cove. SPD's Solid Gold: 40 Years of Award-Winning Magazine Design celebrates the most outstanding, innovative, and lasting achievements in editorial design published in the last 40 years. It is an aesthetic hall of fame and essential reference tool for graphic designers, artists, editors, photographers, and students. SPD's Solid Gold showcases only the most inspired visions in contemporary publication design history-the gold winners of the last 40 years chosen by some of the most respected professionals in the business. This book is a tome of the most legendary design, style, and vision of our ephemeral magazine pages. Iconoclastic analyst Bill James has written a new book that documents his latest thinking on everything from the quality, clutch ability, and streakiness of starting pitchers to a comprehensive listing of the worst teams in baseball history to his surprising views on the Transit Safety Administration, the demise of tipping, and the injustice of red-light cameras. This book is reminiscent of James' Baseball Abtracts from the 70s and 80s and even includes a reprint of one of his articles from that period. The book contains some 25 essays, some full of sabermetric breakthroughs and others with nary a statistic to be found. Solid Gold® Berry Balance provides a rich, natural source of antioxidants for cats and dogs in a delectable powder supplement. This powder is made with both cranberry and blueberry powder to combine two diverse sources of antioxidants. These antioxidants prevent the destructive process of oxidation caused by free radicals, which damage healthy cells in your pet's system. Solid Gold Berry Balance is naturally flavored with berries that pets love. This container includes 3.5 ounces of the powder to provide an ample supply for your pets. Keep your pet healthy and happy with this delectable antioxidant supplement today! Key Features: Provides natural source of antioxidants for cats and dogs Naturally flavored with blueberry and cranberry for a taste pets love Includes 3.5 ounces of powder to keep tails wagging! 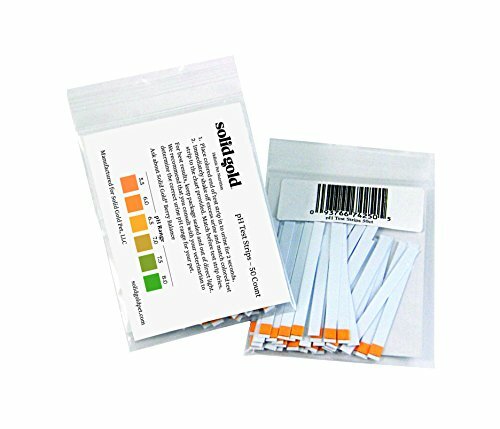 Use Solid Gold pH strips to closely monitor your pet's urine pH levels. Ideal for adult cats and kittens, to maintain total health.